Content sponsored and provided by Pfizer. Janet H., a wife and mother from Alabama, had many things to celebrate in her life – two beautiful children, a wonderful husband, her dog Falco, and a rewarding career. She was proud that even with all of this, she was able to achieve her personal goal of staying active. However, she was diagnosed with a chronic disease the week before her 40th birthday. Unfortunately, this story is all too common, as RA impacts approximately 1.3-1.5 million adults in the United States. [ii],[iii] Many living with a chronic condition like RA experience challenges while trying to manage their symptoms, doctor’s appointments, and the daily demands of life. Working toward personal goals can be put on the backburner. With her rheumatologist, Janet was motivated to find a treatment plan that could help manage her RA symptoms. She was prescribed XELJANZ® (tofacitinib) 5 mg twice daily tablets, an oral medication for adults with moderate to severe RA in whom methotrexate did not work well enough. Janet’s rheumatologist reviewed the side effects of XELJANZ and explained that it is taken twice daily and has a BOXED WARNING for serious infections and malignancies. XELJANZ/XELJANZ XR can lower the ability of your immune system to fight infections. Some people can have serious infections while taking XELJANZ/XELJANZ XR, including tuberculosis (TB), and infections caused by bacteria, fungi, or viruses that can spread throughout the body. Some people have died from these infections. Read more about the Important Safety Information and Indication below. 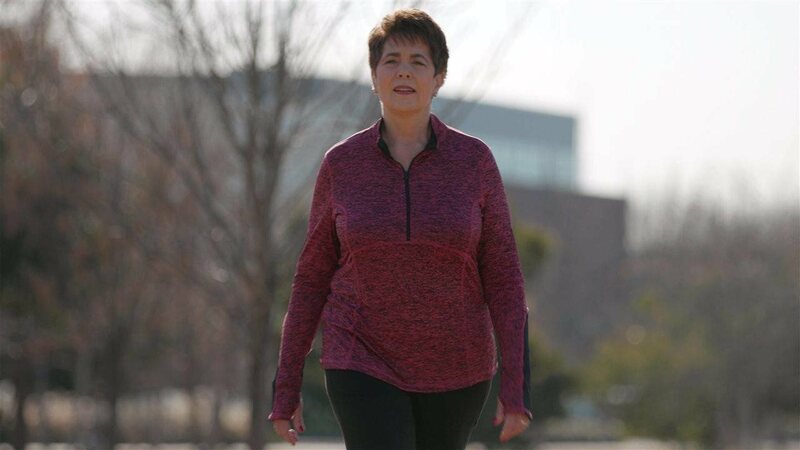 Within three to six months, Janet felt improvement in her RA symptoms and found herself thinking about ways to become more active. She spoke with her rheumatologist and, together, they came up with exercise goals including yoga classes, cycling, and walking her dog with her husband and children. She also says one of her biggest milestones was walking her daughter down the aisle and gaining a new son-in-law. Eventually, Janet worked with her rheumatologist to switch to a once-a-day version of XELJANZ, called XELJANZ XR extended-release tablets. Plan ahead: Living with a chronic condition can be challenging. Plan ahead when it comes to things like travel or big life events to allow ample time for adjustments and preparation. Partner up: Find a significant other, friend, or sibling who can join you on your journey toward reaching your goals. Sometimes living with a chronic condition requires extra support from others, so having a partner to plan with can help make that support seamless. Consult your doctor: Before considering any new travel or physical activity, make sure to consult your doctor. Discuss your plans and how you and your doctor can work together. By following these tips, Janet says that she has been able to manage her RA and have time to focus on her family, friends, and herself. “I hope my story can help other adults who are living with moderate to severe rheumatoid arthritis and inspire them to share their stories,” she says. To learn more about XELJANZ and hear from others who are living with RA, visit RA.XELJANZ.com. [i] National Institute of Arthritis and Musculoskeletal and Skin Diseases (NIAMS). National Institutes of Health, Department of Health and Human Services. Handout on health: rheumatoid arthritis. August 2014. http://www.niams.nih.gov/Health_Info/Rheumatic_Disease/default.asp. Accessed February 14, 2019. [ii] Hunter TM, Boytsov NN, Zhang X, Schroeder K, Michaud K, Araujo AB. Prevalence of rheumatoid arthritis in the United States adult population in healthcare claims databases, 2004-2014. Rheumatol Int. 2017;37(9):1551-1557. [iii] Arthritis Foundation. Arthritis by the numbers. https://www.arthritis.org/Documents/Sections/About-Arthritis/arthritis-facts-stats-figures.pdf. Accessed February 14, 2019.